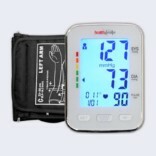 A blood pressure Monitor is an apparatus used to compute the force of the blood in arteries and the veins. The manual apparatus comprises of a hot-air balloon cuff, a measuring component and, for manual models, valve and an inflation bulb. The pressure of cuff used to be determined on manual sphygmomanometers by monitoring a mercury column in the measuring unit and reading the BP as millimeters of mercury. 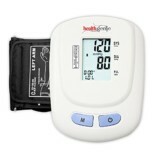 The digital blood pressure monitors use the oscillometric method of blood pressure measurement. It means the monitor identifies your blood’s movement through your brachial artery and converts the movements into a digital interpretation. 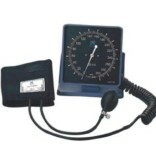 An oscillometric monitor does not require a stethoscope so the monitor is very simple to use. These digital blood pressure cuffs facilitate monitoring of blood pressure for personal usage at Home, and can be very helpful when you are prescribed medication that could affect your blood pressure frequently. 1. Ensure you do not need to use the bathroom, and that you have not just filled up your stomach. Do not assess your blood pressure within 30 minutes of smoking or drinking caffeine. 2. Wear loose-fitting garments like a short sleeved and loose-shirt so that you can push your sleeve up at ease. 3. Always use the same arm for blood pressure readings, as each arm will give you a somewhat diverse reading. If possible, always use the same arm that your doctor or nurse uses when measuring your blood pressure. 4. Before you take your readings, relax for five minutes. 5. Ensure your arm is supported and that the cuff around your arm is at the same level as your heart. Your arm should be relaxed, not tensed. 1. Wrap the blood pressure cuff comfortably around your upper arm, so that the bottom is about 1 inch over the inner bend of your elbow. 2. Rotate the blood pressure cuff around the arm, so that the artery mark is sited over your brachial artery on your inner arm between your bicep and triceps muscles. 3. Close the emergency pressure release valve. 4. Set the initial pressure dial about 30 to 40 mm Hg higher than your last systolic blood pressure measurement (i.e., the high number) if your blood pressure cuff gives this choice. For instance, if your last blood pressure reading was 150/80, then set the initial pressure to 180. 5. Press the power button to turn on the digital BP monitor. The cuff should instantly start to inflate, though some models may also have a start button. While the cuff reaches full force, it will start to deflate at 2 to 5 mm Hg per second. The deflation rate and heartbeat will be shown on the digital screen. 6. Record your blood pressure measurement in a note pad or on a calendar as the larger number over the smaller number (e.g., 150/80)–the larger number is the pressure in your arteries when your heart pumps, and the minor number is the pressure in your arteries when your heart is resting. 1. Do not smoke or drink caffeine for at least 30 minutes prior monitoring your blood pressure. 2. Use the restroom or bathroom before examining your blood pressure because a full bladder can affect the result. 3. If you feel intense pain while attempting to measure your blood pressure, instantly open the emergency pressure release valve. If the pain settles, get in touch with your doctor to schedule an appointment and do not attempt to take your blood pressure again. 4. 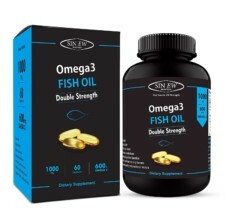 Keep your digital BP Monitor regulates according to the manufacturer’s instructions in order to ensure precise results. 1. 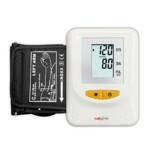 Equinox Upper Arm BP Monitor (EQ-BP18):- Equinox Upper Arm BP Monitor EQ-BP18 is a proficient blood pressure monitor for scrutiny of trends of arterial health condition. It is easy to use Monitor and gives precise results. 2. 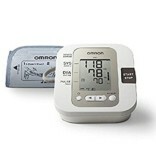 Omron BP Monitor Upper Arm (HEM-7203):- Omron HEM-7203 Automatic Blood Pressure Monitor is a trouble-free and easy to use apparatus, with one touch procedure, it takes the hassle out of taking your blood pressure. With memory of 21 reading and a standard function for the last 3 readings, the Omron HEM-7203 is an ideal companion for hypertensive people wanting to monitor their blood pressure daily at home. 3. 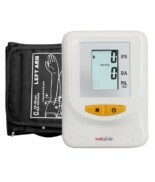 Rossmax Upper Arm Digital BP Monitor (AV151F):- The Rossmax Upper Arm Digital BP Monitor is a monitoring gadget to keep a close eye on your blood pressure levels. This device enables you to have an accurate reading with easy operation. 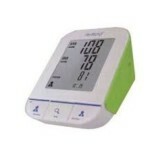 Rossmax Upper Arm Digital BP Monitor acts as a guide to high blood pressure, making home BP monitoring an easy job.